When people look for vacation homes for rent, they do not just grab the next best deal they find. They always have a list of conveniences and requirements. If your holiday cottages are unable to provide that, they move onto the next option. You can’t expect potential guests to adjust their wants and needs based on what you can provide. More often than not, it’s the other way around. As the service provider, you have to find out what your target market’s primary requirements are, and find ways to accommodate them. And among the most common requirements families now look for in vacation homes for rent is the ability to accommodate their pets. Yes, even dog doors are smarter now. The traditional pet doors would let any of your pets go in and out as they please. But with a smart dog door, pets can be given a smart key (often placed on their collar) so that only the pets with smart keys can open the door freely. Now, your guests won’t have to worry about their cat wandering outside while everybody is busy elsewhere, but can let the dog freely go in and out in case this is a much comfortable arrangement for them. Certain pets are more comfortable in certain temperatures. This means that you would also have to think about their preferred temperature, and not just your renters’. 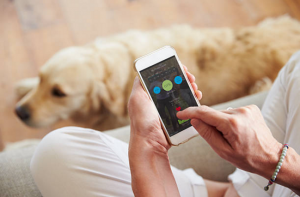 You can use apps that allow renters to tweak the temp as they please, as they would most likely be the ones who know how hot or how cold their pets want it. Pets would often look for familiar surroundings. The moment they realize that they’re in a place they’re not used to, they often get nervous and misbehave. Installing pet-monitoring cameras in your holiday cottages would be a great way for pet owners to monitor their pets’ behavior. They can see what their pets are up to all the time through their smartphone. A lot of these cameras even come with treat dispensers to distract your pets when they’re starting to get fidgety. Some also come with speakers and give pet owners the option to talk to their pets and soothe them when they’re away. One reason why other property managers and owners refuse to accommodate pets in their rentals is because of the valuable décor and furniture they have. Connecting motion sensors with alarms can be the ultimate solution for this problem. Contact sensors would set off an alarm that will scare pets away the moment they cross a certain boundary around your valuables. This means that even if the pets’ owners are away, they’ve got something that will keep them away from the valuable stuff no matter what. The mess that pets leave will always be an issue for a lot of property managers. Cat litter, piles of fur, food strewn around – you never know what kind of surprise pets will leave next. 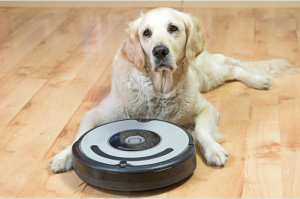 By having a robotic vacuum, each tenant will leave their pets inside the vacation house secure in the thought that something is cleaning up after their pets. This will also leave you with the peace of mind knowing that any kind of dirt will not stay uncleaned for long. You also have to think about potential hazards for pets, and an open toilet bowl is always a huge risk. Drinking from it can make pets very sick, and you have to remember the danger of drowning, especially for smaller critters. Automated toilet seats keep the toilet seats down when no one is using it, perfect for homes where tenants would always forget to do that after using the toilet. With the right pet-friendly changes to your rental home, vacation rental marketing will be a lighter load. Remember that pet owners are always on the lookout for a place that will accommodate their entire family. And yes, these would often treat their own pets as their own kids. This means that if you don’t treat their pets well, then they would see it as poor customer service. These upgrades to any vacation homes for rent will mean additional costs. However, you also have to think about the potential returns. Knowing that more people will respond to your efforts on vacation rental marketing the moment they see these added perks would make you realize that it’s all worth it.